The procedure of how to put a new rule into place is outlined in your condominium’s master deed and declaration of trust, which together govern how the condominium operates. Condominium trustees typically already have authority to establish common area rules, so can make common areas smoke-free right away. 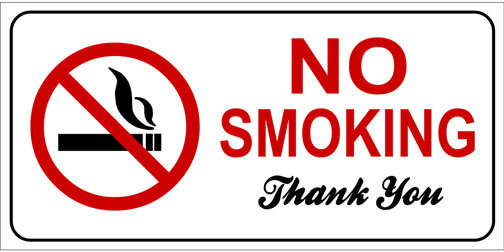 Establishing a smoke-free rule for the individual units, however, will require a vote of the unit owners. While this Guide provides sample legal documents and advice for going smoke-free, readers should consult with an attorney about the specifics of their condominium documents and facts. No-smoking policies are largely self-enforcing. Once the rule is established, you are likely to attract tenants who want to live in a smoke-free environment. Use the no-smoking lease addendum provided here and having tenants sign when leases come up for renewal or when a new tenant moves in. Make sure to notify tenants of the lease change using the sample letter to residents. post “no smoking” signs. Signs are available at http://www.maclearinghouse.org/. Secondhand smoke is not just a nuisance. It’s a health hazard, and it is dangerous. But there are things you can do. Under Massachusetts state law, smoking is prohibited in the common areas of any multi-unit building that has one or more employee. For more information or to file a complaint, contact the Massachusetts Tobacco Cessation and Prevention Program at 1-800-992-1895 or 1-617-624-5116. A packet of information that you can give to your landlord is available in the Resources section of this site. Smoke-free policies are 100% legal. Just like landlords can prohibit pets, they can prohibit smoking. Smoke-free policies are not discriminatory. Smokers are not a protected class. There is no right to smoke! Landlords can still rent to smokers, so long as the tenant follows the smoke-free policy. Legal remedies may be available. There are ways tenants can bring legal action under what is called “common law” against a landlord or against tenants who smoke. These theories include: breach of covenant of quiet enjoyment, negligence, nuisance, breach of warranty of habitability, battery, intentional infliction of emotional distress, trespass, and constructive eviction. Pursuing these remedies can be costly and time-consuming.